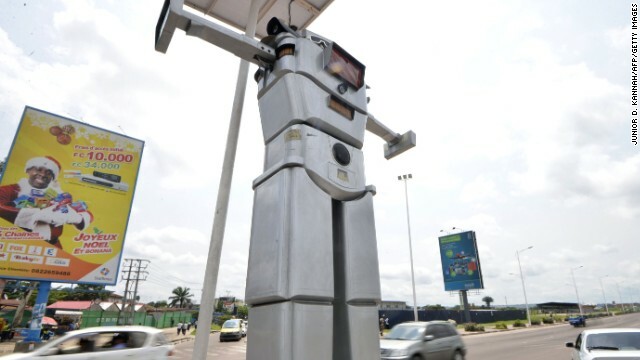 The Democratic Republic of Congo has created a pair of robotic traffic cops. 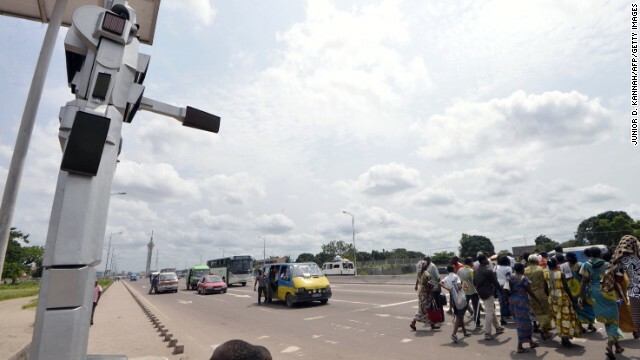 The city of Kinshasa, capital of the Democratic Republic of Congo, has apparently run out of competent, homo sapien traffic guards. 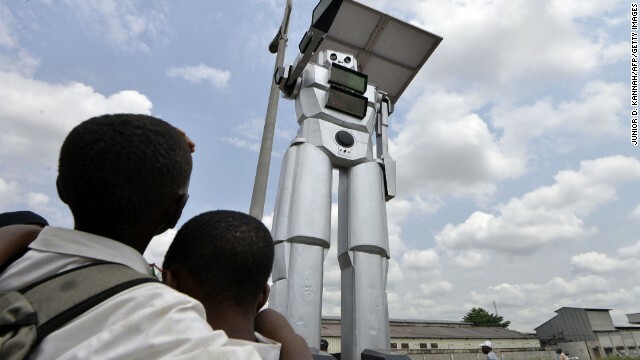 So, officials have constructed two gargantuan robots and plopped them down in the most congested intersections. 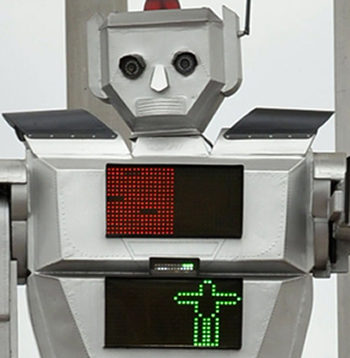 The bots are roughly eight feet tall, and have a charmingly retro design--like something that people would have been genuinely terrified of in the 1950s. 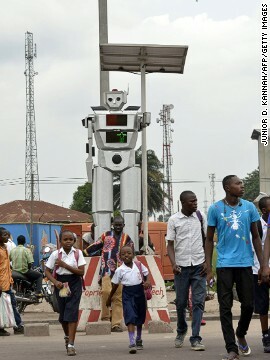 They're powered by an array of solar panels, and constructed from aluminum and stainless steel, to weather the Congo's red-hot climate. "The traffic is a big problem in the rush hours," says Vale Manga Wilma, president of the country's National Commission for Road Safety. 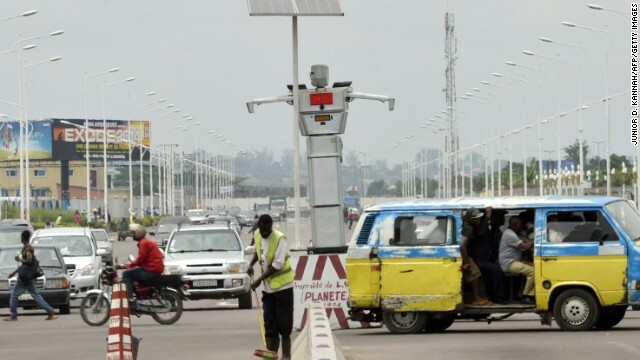 "With the robots' policemen intelligence, the road safety in Kinshasa becomes very easy." 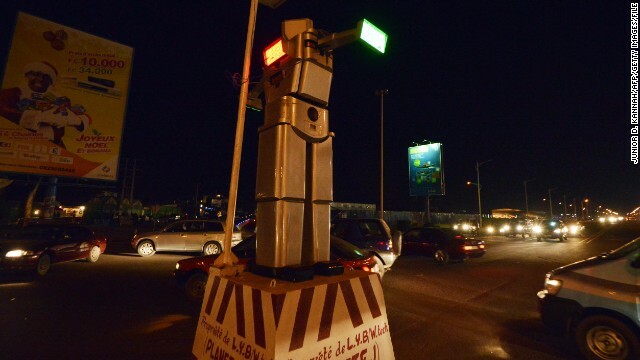 Basically, the robotic officers work like elaborate traffic lights, complete with waving arms and flashing signals. 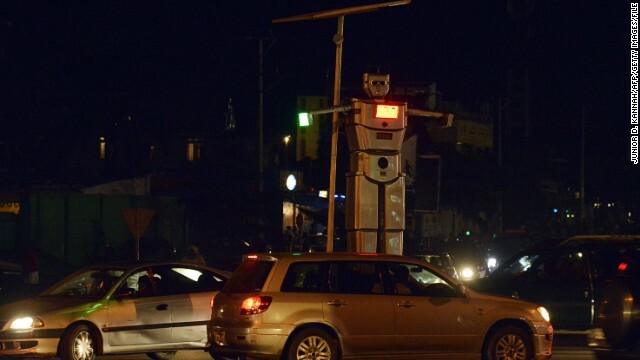 They're even programmed to speak with any pedestrians who might be waiting to cross the street. Right now, the robots are working 24 hours per day, which doesn't currently break any slave labor laws because gigantic robots don't have any rights. But that'll probably change after the uprising.